I think you’ll agree with me when I say that it is really tough to choose the right calibers of bullets for your rifles. There are simply so many factors to consider and the casual shooter doesn’t necessarily hang out in gun forums or talk shop with fellow gun enthusiasts on the reg. Well, as an avid rifle enthusiast, I can give you a heads up on the pros and cons of each caliber. It’s easier than you might have imagined to learn more about different caliber sizes from smallest to largest. In today’s post, I will break down exactly how to know what you are getting with each caliber and what you want out of rifle calibers. Here we’ll cover price points and recoil of a range of popular rifle calibers. 1 What is a Caliber? Caliber means the size of the bullet’s diameter which can be measured in either inches or metric units (mm or millimeter). Some people might wonder why we don’t just call it “bullet size,” but there’s a good reason for that. Technically speaking, a bullet is only the metal projectile whereas the entirety of the round you fire is called a “cartridge.” This includes the casing, the powder and the primer. For a more in-depth guide of ammo and bullets, check out our bullets guide. Rifles and rifle cartridges can be fired at ranges that handguns were not designed to. This means that you can faraway targets with an unsurpassed accuracy. The rifle is but a part of the equation here. The cartridge comprises the other half of that equation and is key to the rifle shooting process. When it comes to cartridges, the shooter has a wide range of options to choose from. Are you taking pot shots at squirrels in your backyard? For something like this, I usually prefer a smaller caliber as they are typically more accurate to this end. Are you going toe to toe with an extraterrestrial invasion? Probably you’ll want something a bit larger. Let’s take a look at the definition and units of some of the factors that we’ll be considering when exploring the different caliber sizes. Velocity: The precise speed of the bullet in feet/sec. Energy: The approximate power of each round. Bullet Weight: These will be measured in grains with 7.000 comprising a pound (a minuscule unit). Price point: price of a single round. 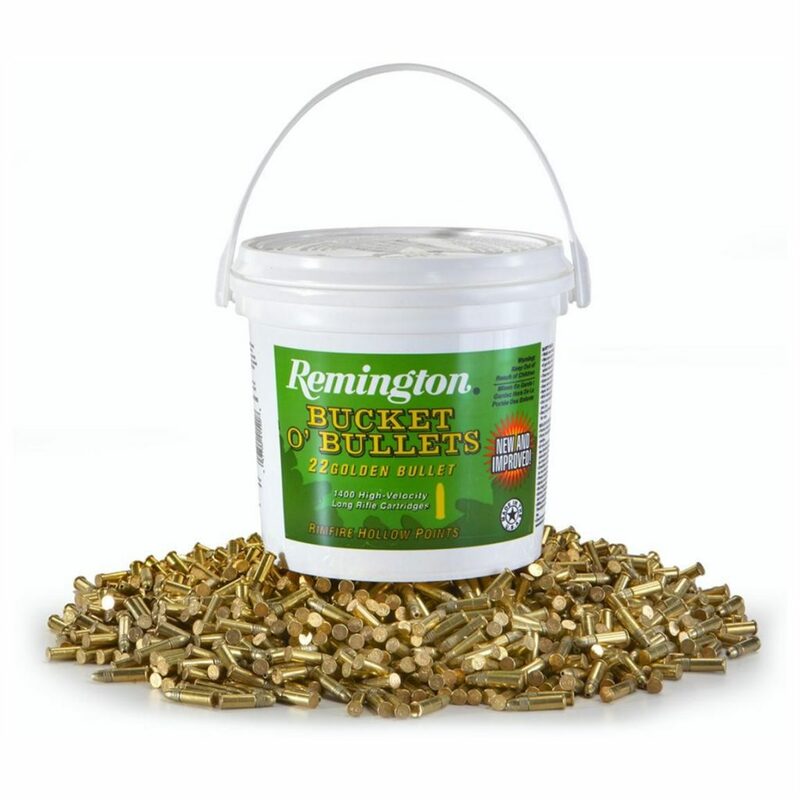 If you’re interested where to buy ammo online, check the buy ammo online guide out. With those factors in mind, here are the most common rifle calibers and what makes them unique. This small round has a low recoil output for handguns and rifles alike. The twenty-two long rifle has a rimfire cartridge as opposed to centerfire since the firing pin hits the rim of the case rather than the center. 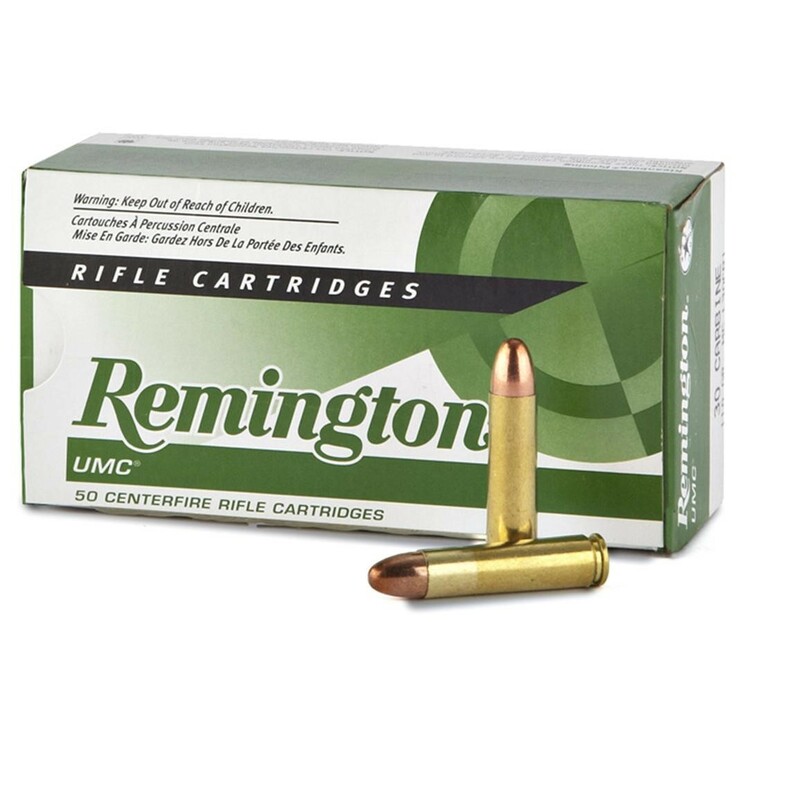 Long considered to be the ideal cartridge for recreational shooting, firearms training and small game hunting, the .22 cartridge is often sold in bulk or “bricks” (cartons of 10 boxes, each of which contains 50 rounds). By far the most popular rifle around, the .22 long rifle is renowned for its high velocity and compact size. I always recommend this one to beginners because it’s easy to handle and packs a punch without punching you in the shoulder the way many other guns with heavy recoil tend to. .22LR loads come in a variety of variants from subsonic (“target” rounds) to high velocity (1,200-1,310 ft) to hyper-velocity or “ultra-velocity” (over 1,400 ft). 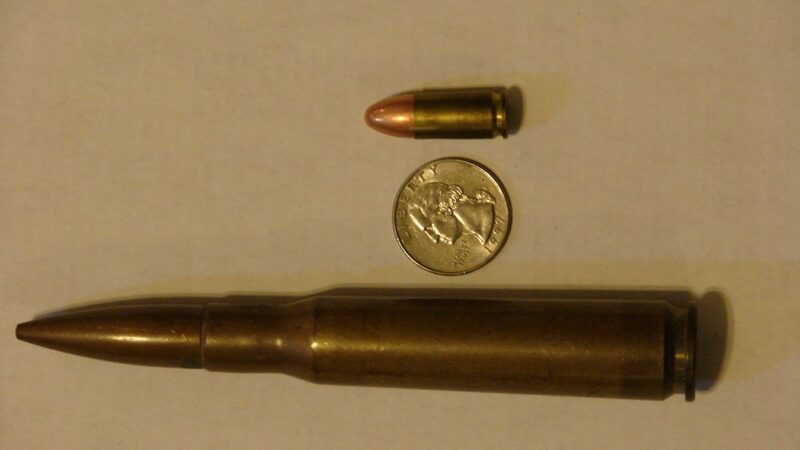 Subsonic rounds are sometimes fitted with extra-heavy bullets (46-61 grain) to facilitate better terminal ballistics of the smaller and slower projectile. A common example of a subsonic round is the Aquila .22 LR SSS “Sniper SubSonic” while a popular hyper-velocity round is the CCI Velocitor. The former is a 60 grain round while the latter is a 40 grain. Although it is generally reserved for firing at small varmints and for target shooting, the .22 rifle can still be deadly when trained on human targets. The small caliber rounds have a tendency of bouncing around inside a person’s body, tearing organs and ligaments into ribbons. This one’s kind of a relic of sorts as it has a long, checkered history and is not commonly used in this day and age. This ammo was the one used in M1 carbines during World War II and was a mainstay until the Korean War. It has a fairly low recoil and is a total blast to fire in the M1 if you have the opportunity to get your hands on one. The .30 carbine was one of the very first PDWs (personal defense weapons) to be introduced to market and found favor among those in combat because it doesn’t get in the way of other tasks or duties that need to be carried out such as serving as an ammo boy (or ammunition bearer) or manning a post in battle. The M1 Carbine weighs in at just over five pounds with a 36-inch length, making it handy and lightweight. It also had non-corrosive primers at a time when military ammo was usually corrosive. Today, the .30 Carbine is an economical plinker that makes hand-loading simple and can be used with fast-burning propellants. Consistently accurate, the .30 Carbine can bench-rested with Winchester 110 grain FMJ bullets. The “three hundred Blackout” is a recent addition to the world of rifles, having been brought to market in 2011. 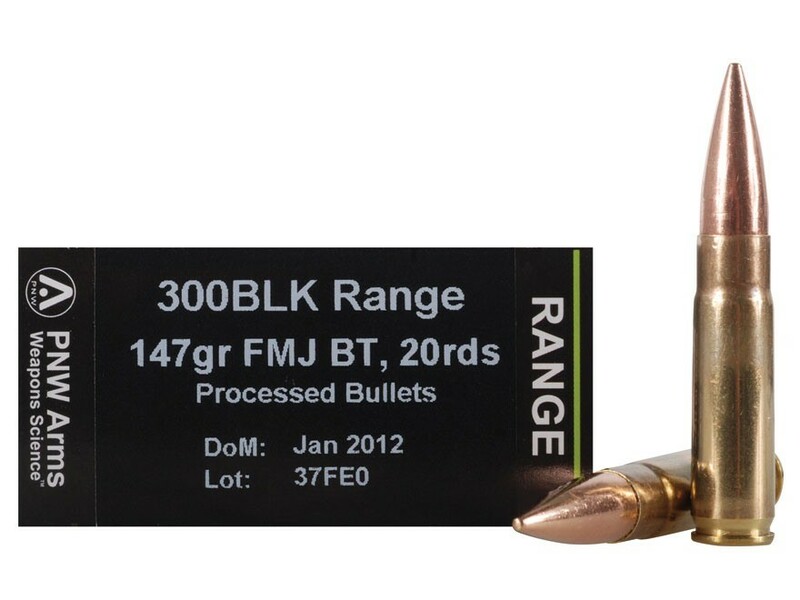 Aimed at introducing the larger .30 caliber round to the AR platform, the .300 BLK provides excellent suppression capacity to modern magazines. The recoil is nearly identical to that of the standard soft-shooting 5.56x45mm of an AR-15. It has grown in popularity thanks to its versatility and pop. The 300 Blackout can perform in a number of different conditions and can use adjustable gas blocks for optimal versatility. Due to its subsonic ammo over-penetrating and under-expanding, it is often considered primarily a shooting range firearm. A Russian round, the 7.62x39mm cartridge is designed to be used in SKS rifles and AK-47s. 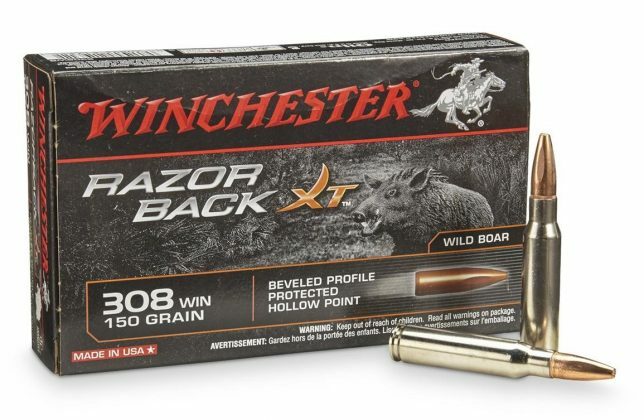 Since their importation, these rounds have steadily grown in popularity among owners of bolt-action rifles and semi-automatic such as the Ruger Mini-30. A rimless bottlenecked intermediate cartridge, the 7.62x39mm is generally known to deliver medium range performance. 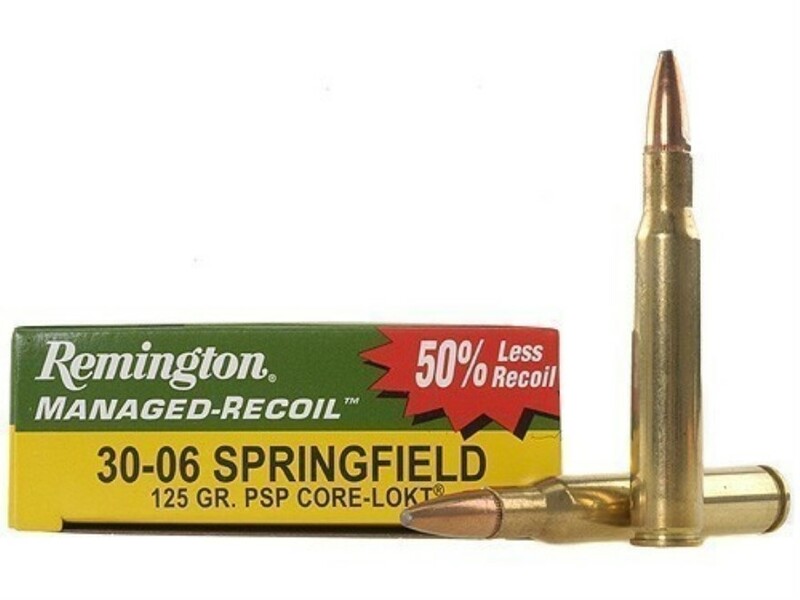 As with the .22LR, it can be purchased in bulk from several online dealers. The round’s larger size makes it a good option for hunting medium sized game like deer and can be great for self-defense purposes. They have a mild recoil and moderate range, but they also possess strong knockdown power. This one comes in military grade, what we call the “NATO round,” which is standard to the M-16, but a civilian “two-two-three” has also been made readily available. A very accurate soft-shooting cartridge, the .223 is larger than the aforementioned .22LR. Some states have prohibited hunters from using the two-two-three caliber when large game hunting because they consider it to be inhumane. As such, it is mostly used on home turf to fire at prairie dogs, gophers and other garden-dwelling pests. While it isn’t a popular option for game, it does have long range accuracy that makes it a safe option for those who may come in contact with coyotes and other feral predators. 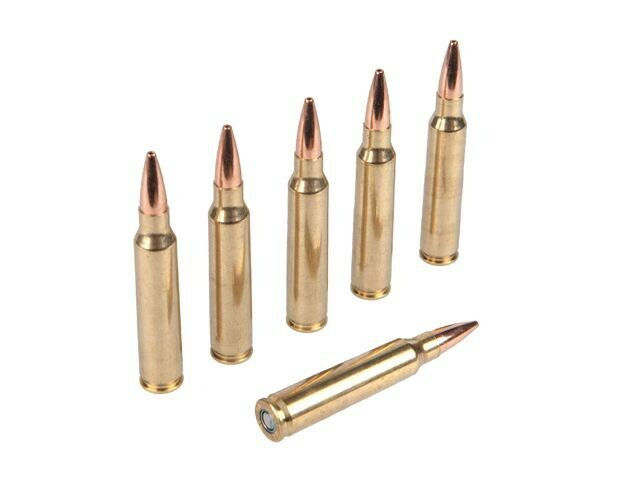 The .308 is the civilian version of the 7.62, a weapon used by the US military. It is larger than the previously mentioned NATO round. Unlike the 5.56 which is a hotter round than its civilian counterpart, the .308 is typically hotter. There are some drawbacks to this one including its fierce recoil and higher price, but its extended range and knockdown power more than make up for that. It’s also the preferred caliber for snipers all over the globe. 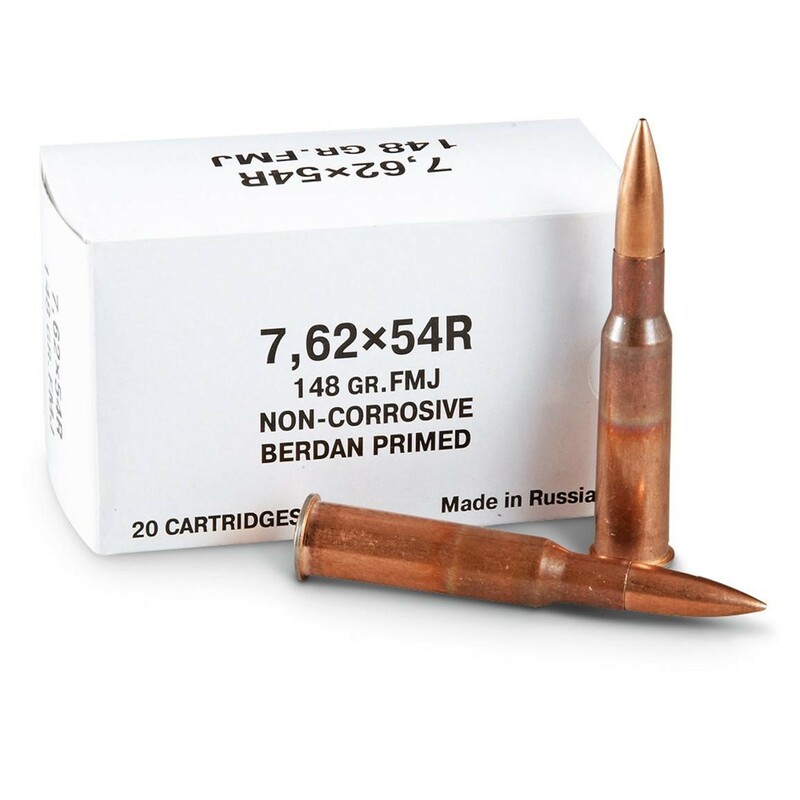 A Russian cartridge that remains in active military use, the 7.62R (R for “Rimmed” as in rimmed rifle cartridge) is a hard-hitting large caliber option that is a mainstay for sniper rifles. Although it has the stigma of causing harsh recoil, the 7.62 is nevertheless a notorious catridge thanks to its intense stopping power, ferocious muzzle blast and affordable price. It is also readily available in bulk with some dealers offering them in 500 round boxes or pre-loaded in magazines. This one replaced the .30-03 round among the US military back in 1906 which is why it got its name (06 as in 1906). Today, it is a popular bolt-action hunting round that can take down an animal of any size courtesy of its massive knockdown power and extended range. Like the 7.62, it’s got an intense recoil, but that’s just the price you pay for dead on accuracy. When it comes to a rifle caliber guide, no list would be complete without the big baller that is the fifty caliber BMG (Browning Machine Gun). 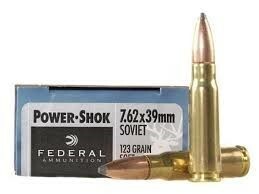 Its giant size, insanely long range and incredible knockdown ability makes other calibers look like toys by comparison. This one is good for everything from sniper rifles to semi-automatic machine guns. You’ll notice that this one is much more expensive than any other round on this list, but you get what you pay for and, at least in this case, quantity equals quality. There you go! That’s my list of common rifle calibers. If you think of any I may have left out, drop me a line and let me know. In the meantime, fire away and have some fun with all of these great cartridges! If you want to choose a hunting rifle for yourself, check out our hunting rifles for beginners guide and if you already own a rifle wish to add some quality optics to it, have a look at best rifle scope for money guide. A “common rifle caliber” that was left out? 22-250 is fairly “common” isn’t it? I have an old Japanese model 99 made between 1939 & 1945 the flower is ground off. Where can I get shells for this or what should I use. It’s in not the worst shape maybe I’ll sell it. Ser# 22611. Inherited from my father in law. What about the 300 Winchester Magnum?